Things are starting to wind up a bit since my last post on Arnold Schwarzenegger with him meeting fans on the streets. Here, we have a similar stunt but one with a heartwarming agenda. Johnny Depp dresses up as Captain Jack Sparrow visiting the sick children in Brisbane hospital. How much more awesome can it get? If Johnny visits us here in Singapore, it would stir up a storm I guarantee that! He brought smiles and joy to the beautiful children with his very existence and his quirky humour. Aside from the outlandish dressing as Sparrow, his accent and personality as a pirate brought so much imagination to the kids. What a fantastic opportunity for the children and a magnificent act of benevolence. I know right. Sometimes we block people whom we hate or we filter friends whom we dont want them to see or find out what we are doing. So the ‘block’ function on Facebook then becomes extremely useful. I love how Facebook interprets that and translate it into an interesting fashion. In fact, it is the way they make tutorials more interesting with the help of a humorous script. Not only are these youtube videos short and interesting, it fuses the daily elements and scenarios we face. 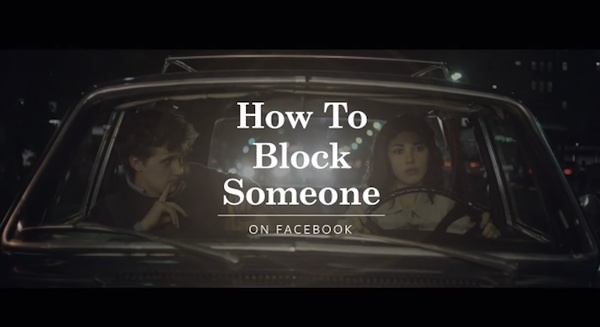 Check out the video which features a couple facing a little fight and how the block function can come in handy. OR NOT. To some, this might come across as shamelessly cliche. But I really love this ad. Snickers has been really successful in a lot of their campaigns especially in areas where the inject wicked humour. Check out their latest ad for halloween! To punish or to win it? Its always the case where the ‘do it or die’ approach really works. What we are seeing here is a brilliant idea that really takes this perspective to a great new height. 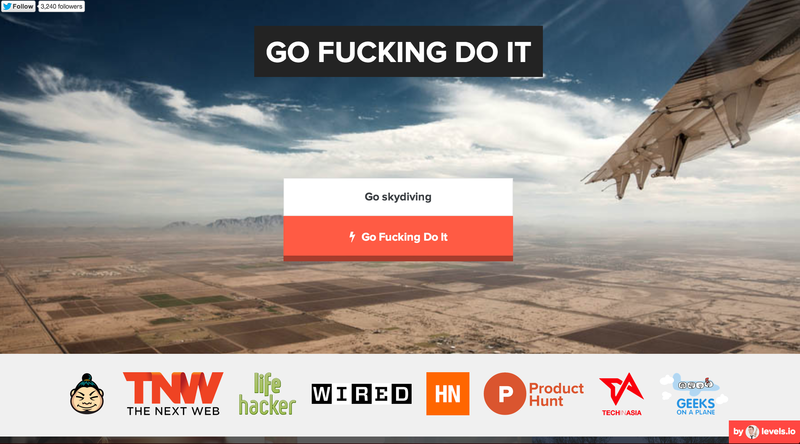 #Gofuckingdoit is a site that allows people to swear and make promises to themselves on the premise of monetary punishments should they failed to accomplish their desired goal. Best of all, you can also help motivate someone by sending him/her a challenge. It is literally challenging the person’s faith in keeping to his/her desired goals. Powered by several sponsors, could this be a highly effective way of fulfilling people’s goals or just another interesting marketing gimmick to punish people further?